Probate Lawyer Montana - The Best Estate Planning Lawyers | Gross Law Group, P.A. Losing a loved one is incredibly difficult, and handling their estate creates even more stress, leaving you and your family feeling hopeless and confused about how to deal with this loss while managing your loved one’s estate. When your loved one passes and their wishes were not documented in the form of a will or trust, it leaves the process of distributing their assets to the court system — this process is known as probate. When assets are processed by probate law, things become more complicated and significantly lengthen the time it takes for your loved one’s assets to be distributed. Our team at Gross Law Group, P.A. is committed to helping you through this process, ensuring that the estate of your loved one is handled with respect and in a timely manner. Even in certain cases where a will is present, some items of your loved one may still need to be processed through probate. Allow us to help you through the difficult process of handling the estate of your family member. All probate proceedings begin by determining the validity of, and interpreting a will to discover, collect, manage, and protect estate assets until they reach their rightful recipient. Probate also exists to settle claims of creditors as well as federal and state obligations, if necessary. 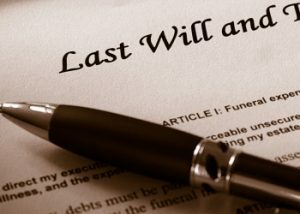 Following each state’s law of intestacy and devisees, we can help secure the transfer of real estate and personal property to ensure that the decedent’s estate is handled according to law, and if applicable, their personal wishes. The probate process can seem lengthy and frustrating, but it is used to ensure that when an individual passes, items in their estate are properly accounted for, their debts and taxes are paid, and their assets are distributed correctly to all designated individuals. When you need assistance handling a loved one’s estate, whether they had a will or not, choose Gross Law Group, P.A. to make the process less stressful and ensure that your loved one’s estate is handled carefully and lawfully. We can also help you to plan your own estate to ensure minimal probate process in the event of your passing. Contact us now if you think you could benefit from our legal assistance. We provide probate lawyer services throughout Montana.